Sony to cut 50% of smartphone workforce after poor sales | What Hi-Fi? Sony plans to cut around half of its workforce in the smartphone division, following disappointing annual sales and continued operating losses. 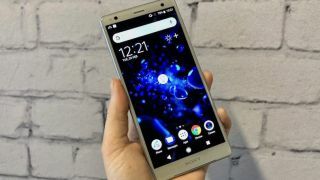 Sony's smartphone sales for its last fiscal year are projected to be around 6.5 million units, half the previous year's figure and just one-sixth that of five years ago, reports Nikkei. The mobile division is expected to once again post an operating loss again in 2019. The decision is expected to see up to 2,000 of 4,000 jobs cut by March 2020, and in turn bring the mobile business into profit. Sony restructured its TV business back in 2014, focusing on premium 4K models. For Sony phones, the plan will reportedly see Sony focus on Europe and East Asia. The company announced a new flagship Xperia 1 with 4K HDR OLED display at MWC earlier this year. Worldwide smartphone sales are expected to decline for the third straight year. The market is increasingly dominated by Apple and Samsung, alongside relative newcomers from China, such as Huawei.